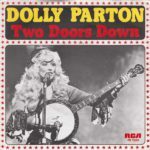 “Two Doors Down” was a song written and performed by Dolly Parton, which provided a 1978 U.S. country and pop hit for her. The song was sung from the perspective of a woman who has just broken up with her boyfriend and is debating attending a party two doors down the hall from her apartment. She decides to go, meets a new man and returns with him to her own apartment “two doors down”. It was included on Parton’s 1977 Here You Come Again album, but before Parton could release it as the album’s second single in March 1978, singer Zella Lehr released a cover version that became a top ten U.S. country hit. While Lehr’s version was on the country charts, the title cut of Here You Come Again was becoming a much bigger pop hit than Parton had anticipated. 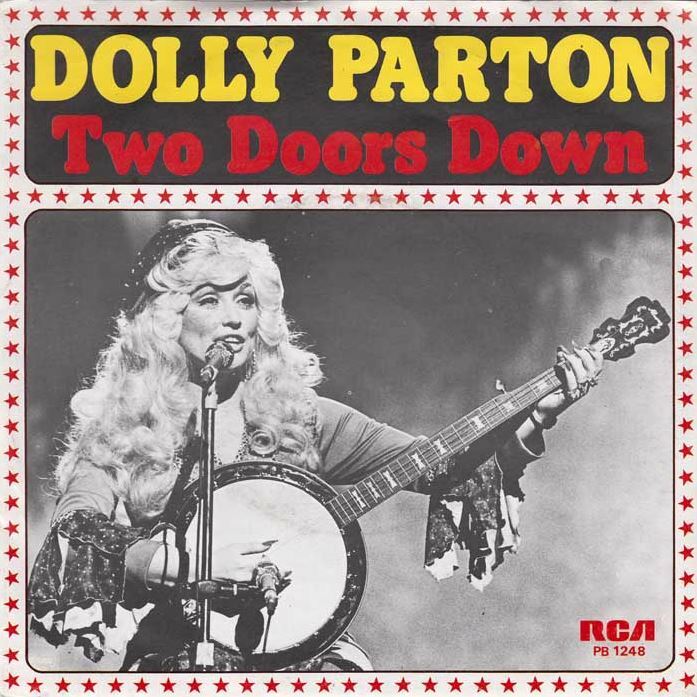 Wanting to capitalize on her newfound pop success (and also not wanting to compete with Lehr’s country version of the song) Parton rerecorded a more loose, pop-oriented version of “Two Doors Down” with a slight disco flavoring. She released the new version on a double-A-sided single, with the other side, “It’s All Wrong, but It’s All Right” intended for country airplay, and “Two Doors Down” intended for the pop airplay. The single topped the U.S. country charts, and was a top-20 pop hit for Parton, and went on to be one of her most popular hits.